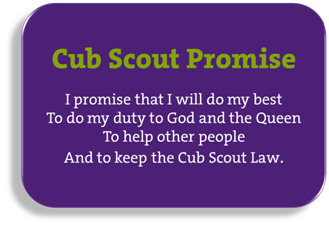 The Promise and Law are at the heart of what we do as Cubs. They express the values we believe in as members of the worldwide family of Scouts. What does the Promise mean? The Promise is a promise that we are making to ourselves and to other Cubs and members of the Scouting family. “I will do my best” – Always try your hardest in everything you do, whether it is at school, Cubs, or at home. “Duty to God” – To think about what God wants of you, to grow and learn. This applies to any God and all Gods. “Duty to the Queen” – This means that we are showing our respect to our country and our monarch. “To keep the Cub Scout Law” – Speaks for itself! Why do we make the Promise? 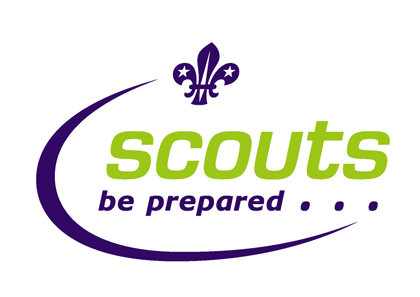 We make the Promise to show commitment to Scouting and to the values around which Scouting is based. We make the Promise when we are invested and repeat it at various other times to reaffirm our commitment to Scouting. What does the Cub Scout Law mean? 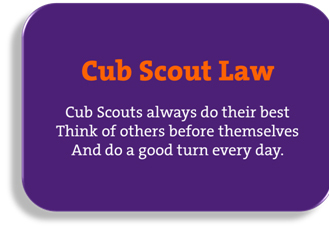 The Law demonstrates the things that we intend to do as Cub Scouts. “Do their best” – A Cub always tries his hardest at whatever they are doing, at school, Cubs, or home. “Think of others before themselves” – This means thinking about other people and whether they need help rather than being selfish and putting yourself first. “Do a good turn every day” – Do something nice for someone else every day.